Luckily for you, there are a number of non-pumpkin alternatives to choose from. You can make jack-o'-lanterns out of gourds, squash, turnips, and other hefty vegetables. That, and you can also make a watermelon jack-o'-lantern, which carries the double-advantage of providing fruit for your spooky Halloween party afterward. Don't want to deal with organic things altogether? 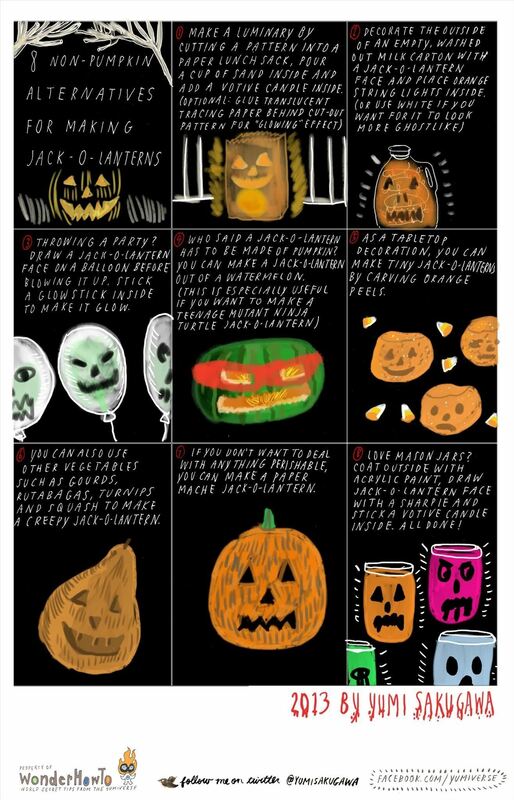 You can still make spooky jack-o'-lanterns out of empty milk cartons, mason jars, balloons, paper bags, and more. Got your own non-pumpkin alternatives for Halloween? Share with us!